Open house tonight for BTPD Explorer Program. 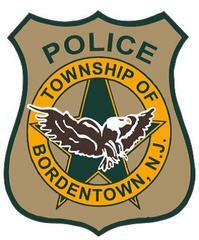 The Bordentown Township Police Department will be hosting an open house tonight from 7:30 pm - 9:00 pm at the Senior Center located at 3 Municipal Dr. for our Explorer Post #2320, part of the Boy Scouts of America “Learning for Life” career education program. Its purpose is to give young adults ages 14-20 a realistic view of careers in Law Enforcement by interacting with and learning from the entire staff of the Bordentown Township Police Department. Explorers will receive instruction in all areas of law enforcement including Patrol, Traffic Enforcement, K9, Interdiction, Investigations, Court Proceedings, Bicycle Patrol, Communications and Administration. They will be introduced to patrol functions, vehicle operations, firearms, defensive tactics, radio operations and other areas specific to the function of a law enforcement officer. Explorers will also be exposed to motivational and team building exercises that emphasize physical fitness, situational awareness, problem-solving and memory. During our open house, we will field any questions/concerns and give parents and students a better understanding of what this special program has to offer. If you can't attend the open house and have questions about this program please feel free to contact Sgt. Chris Burns at #609-298-4300, ext. 2132 or via email at cburns@bordentowntownshippd.com.